What are the absolute WORST baby names we’ve ever heard? In this episode, Jennifer and Mallory address this question that they get over and over from the media. Not only will they reveal some super horrible names, but also advice for expecting parents on how NOT to name your baby. Also: the latest celebrity baby news and listeners questions on names and naming. New York Times article: How Prince got his Name. Names mentioned in this episode: Sturla, Cuqui, Fou, Kaia, Prince, Chastity, PraiseGod, JoytotheWorld, Pia, Birdie, Philomena, Maverick, Tequila Sunrise, Cosmo, Rhoshandiatellyneshiaunneveshenk, Moxie Crimefighter, North West, Moroccan Cannon, Lorelei, and more! Have feedback about this or any other episode? 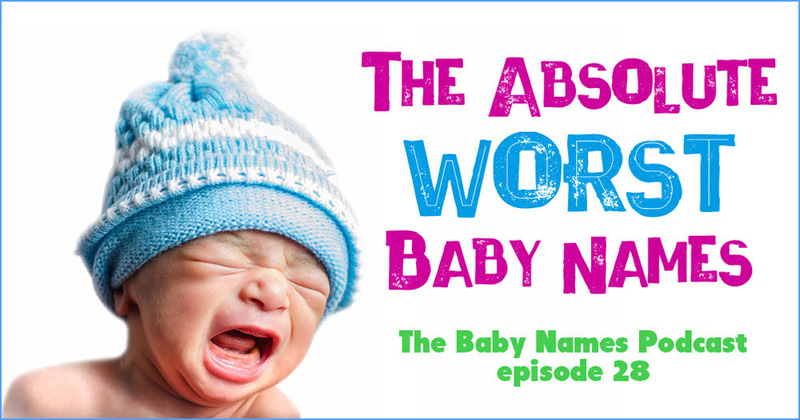 Write us at podcast@babynames.com.